One of the greatest revelations I had this last year was when I was diagnosed with probable adult Attention Deficit Hyperactive Disorder (ADHD). Although the doctors still have me in a trial phase, it’s become more and more apparent to me that this is my reality as I’ve discussed it with friends and family – letting them observe me, and make note of behaviours when I am both medicated and not medicated. This is a great question, one that I’ve never considered before because I’ve always struggled with rest. I remember I would sit in spiritual direction sessions back in my university days at Canadian Mennonite University – agonizing during our silent meditation times that I couldn’t calm my mind down. I would focus on the candle…focus on the candle…stare at the flame...suddenly my spiritual director's voice is fading out and I’m thinking about the social event I’m supposed to be at later that night, or a conversation I had with someone earlier that day. There are a few observations about my spirituality that I would like to make in terms of how my ADHD is a gift, and also reflect on what changes I would like to see in myself as I continue on this journey. However, I won’t do that all in one blog entry…I want to keep things interesting and have enough content to span over a few weeks. I will say this though – the one thing I need to pay attention to is my time. I can’t simply medicate myself to slow down and discipline my time, but I also need to do it intentionally. I am extremely guilty of over commitment. 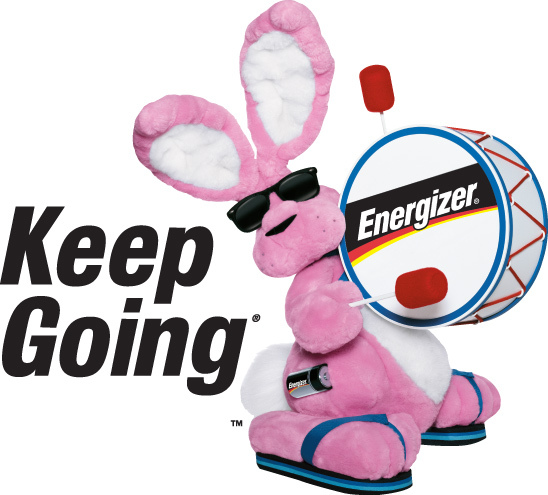 I often feel like I am invincible with the incredible amount of energy I have – often feeling like the energy bunny…I just keep going, and going and going! Only to end up with a blood pressure of 146 over 89 like I did this time last November (this year I was 118 over 78). Most of my time is consumed by volunteerism and work, and now I’m starting to realize that I need to discipline my time and surrender it to simply resting. I need to start caring for myself, taking some time to chill, and start working in that space to create prayer and meditation. Stay tuned for my next entry on meditation and prayer with a hyperactive mind…it gets interesting sometimes. I just got home from the movie Fury, starring Brad Pitt and Shia LaBeouf among others. Mostly it’s a typical war movie: a 5-man American tank crew battles and bonds together and they chase the determined remnants of the retreating German army in the final months of WWII. Other than the fact that much of the movie happens inside a tank, the movie is made of the same stuff as the other WWII movies you’ve seen: the intensity and gruesome aftermath of battlefield violence, the bond of soldier brotherhood, the innocence of the fresh-faced recruit, and of course the irresistibly masculine archetype as the hero. The thing that drew my attention, though, was the emergence of the tank itself as a metaphor for modern masculinity. The five guys in the tank called “Fury” are deeply emotional creatures: crying over fallen comrades, spouting curses, raging against weakness, crying over horses, wooing virginal German girls whose hometown they’ve just destroyed (seriously? ), crying over the futility of war, crying out of love for their brothers…. A lot of tears, open, unashamed—and entirely unacknowledged. And anger, lots of anger, though the root(s) of their Fury remain unknown and unexamined to us and to them. These complex emotions are recognized as a signal of their alive-ness, simultaneously mocked and treasured within their unit. And yet, the men are only at home behind the thick steel of their tank. In here, the complexities of world and war are simplified through the narrow view of a periscope. In here, the Scriptures give assurance that God is on our side. In here, the brothers we fight with and for are all that we need, all that matter. In here, the fight we’ve chosen is a righteous end in itself, results be damned. In here, we are safe. That’s the myth of modern masculinity: behind the walls—however wide we choose to draw that circle—we are secure. Or if not secure, than at least we are (or rather, feel) in control. The big reveal of the movie is that inside the tank, the naïve recruit admits his fear only to hear the Pitt-sized hero acknowledge “I’m scared, too.” And then the war goes on, as though that fear might just be overcome with just a few more bullets. But I’m left to wonder... how many of our conflicts are fueled by a bunch of scared guys shooting at each other from behind their armor? Like the soldiers inside Fury, how often are we stuck fighting conflicts we’ve never understood, much less asked for? How much of our defense is against enemies we somehow identify with even as we demonize and destroy them? How functionally narrow is our view of the world around us? And what choices do we have beyond reinforcing our armor, drawing tight our allies, and blasting the bejeezus out of anything outside that looks remotely suspicious? I’m not entirely war-movie naïve about the real conflicts and risks of life outside of our armor. “Ideals are peaceful; history is violent” as the tagline of the movie brashly declares. But that’s only the mantra being shouted from inside the tank. What if the world outside is bigger than that? What if the humanity we’re so suspicious of turns out to be just as full of complexity and life as we are? There is beauty, and trust, and hope beyond our walls.